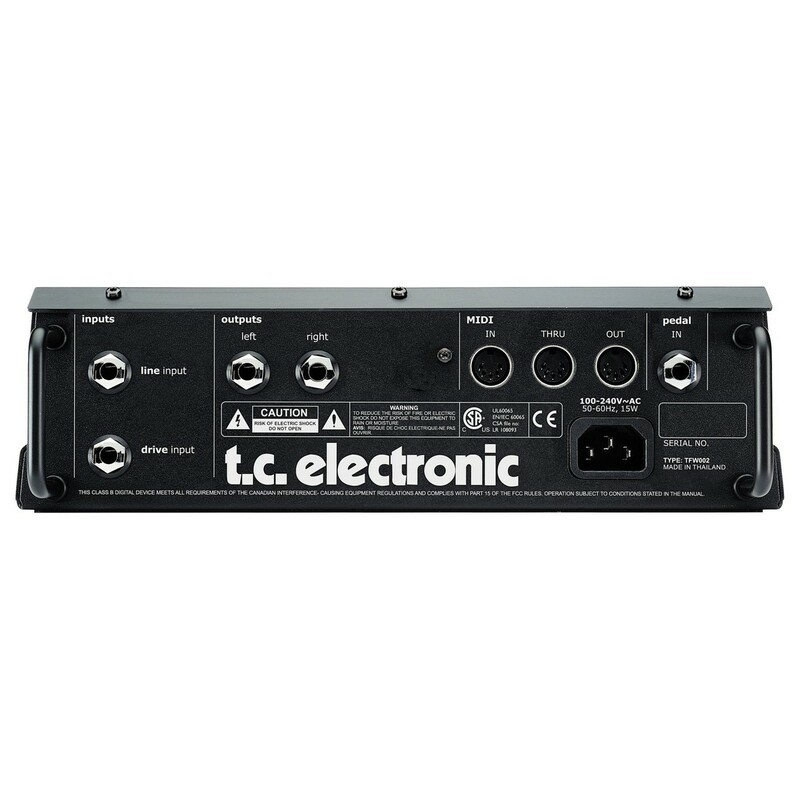 The TC Electronic Nova System has impressive effects capabilities and analogue drive circuitry. Nova System is a complete, floor-based effects processor, which boasts an all-analogue programmable distortion/overdrive section under preset and expression control, making it great for minimising your rack setup. It has a choice of effects taken from the popular G-System. 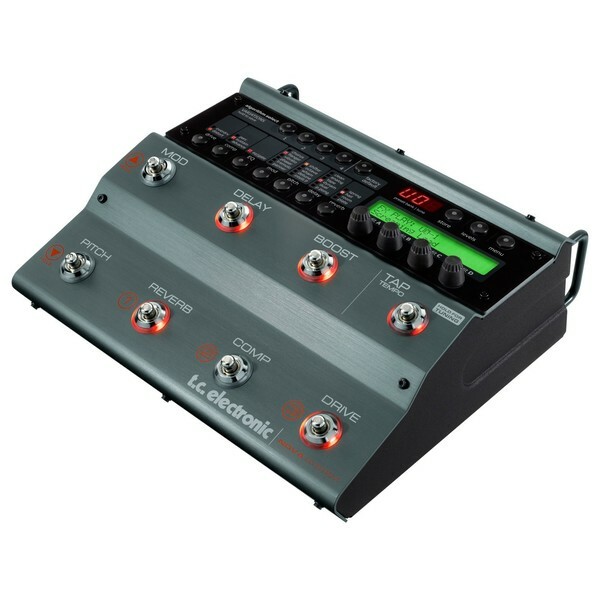 There's compression, modulation, EQ, noise gate, pitch, delay and reverb right at your feet. The Nova System has NDT - Nova Drive Technology - a drive and distortion circuit that brings a combination of world-class analogue distortion and overdrive with digital control. 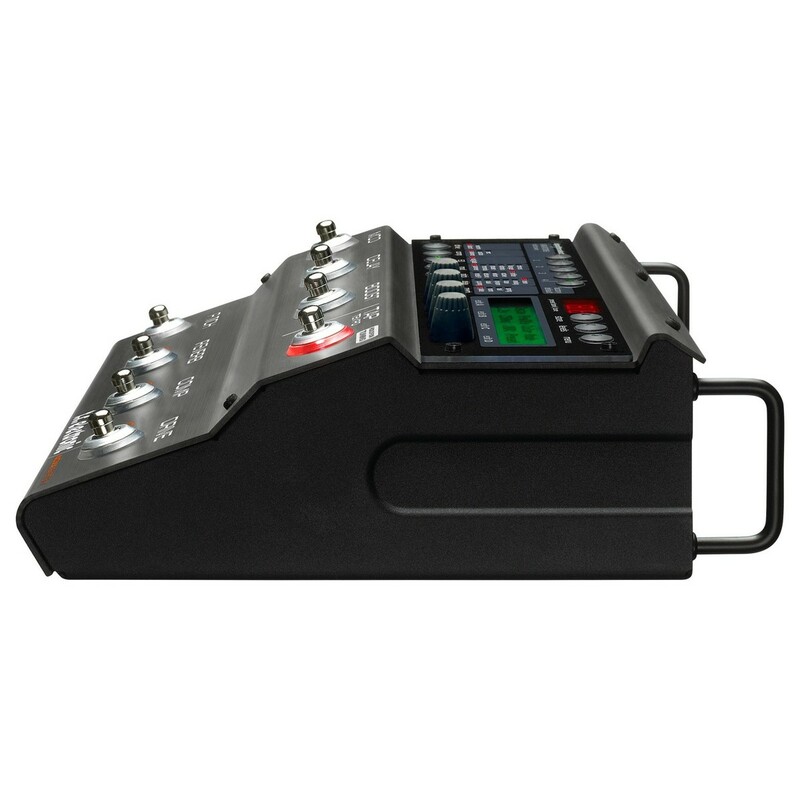 NDT is 100 percent analogue and physically separated from the digital effects, its control potentiometers are digital. So you can tweak, store and recall as many drive settings as you like. 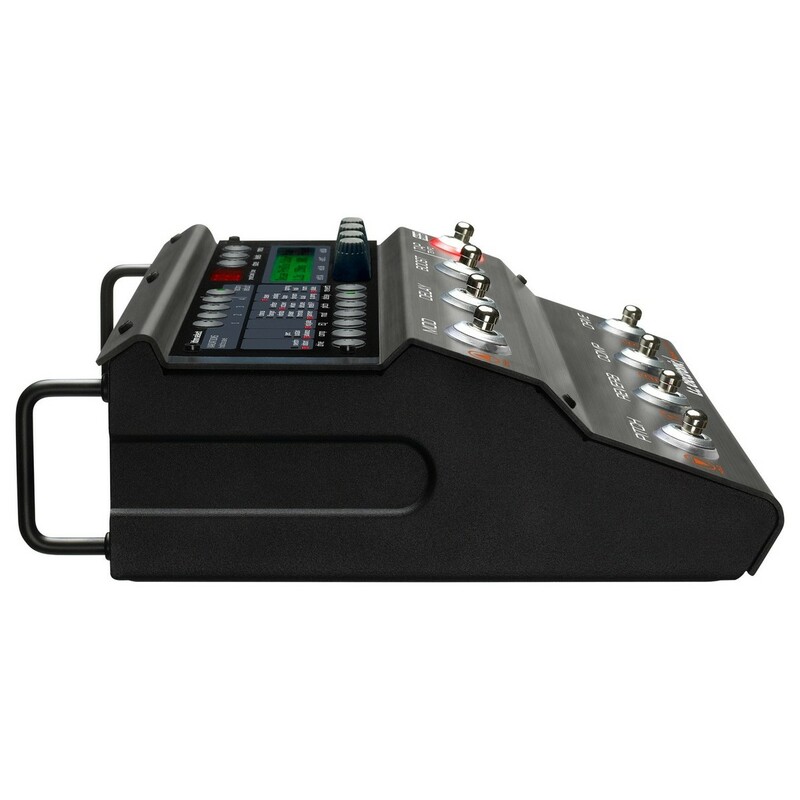 You can hook up an expression pedal (not included) and control the amount of distortion in real-time. A G-Switch makes a good addition. It features a wide gain range from light breakup to heavy distortion. 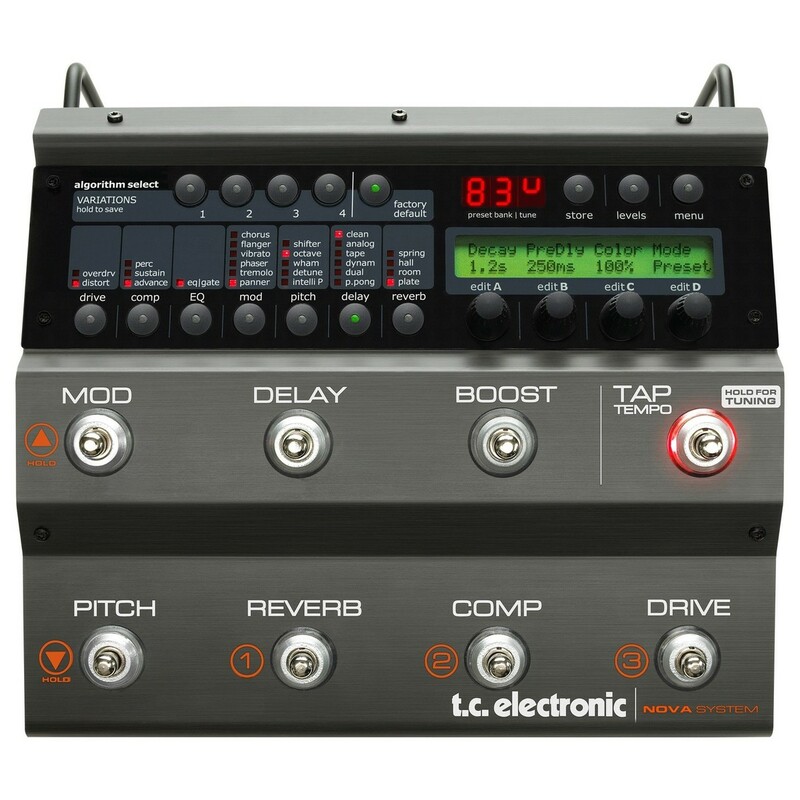 Take advantage of TC branded quality effects; reverb, delay, compressor, EQ, pitch and modulation, All effects are neatly programmable and storable in 60 user presets. The Nova System includes 30 factory presets for you to discover what it's capable of. The Nova System's great versatility of effects and easy to get up and running. All you need is a guitar and an amp to start using it.